Your cultural itinerary includes sights like Kata Tjuta and Valley of the Winds. Step out of the city life by going to Uluru and Uluru Hiking Path. There's still lots to do: trek along Kuniya Walk, take an unforgettable tour with a helicopter tour, explore the activities along Mutitjulu Waterhole, and head outdoors with Walpa Gorge. For traveler tips, where to stay, maps, and more tourist information, go to the Uluru-Kata Tjuta National Park trip planner . Barcelona, Spain to Uluru-Kata Tjuta National Park is an approximately 33-hour flight. You can also do a combination of flight and car. The time zone changes from Central European Time to Australian Central Standard Time (Northern Territory), which is usually an 8 hour difference. Traveling from Barcelona in September, expect a bit cooler with lows of 12°C in Uluru-Kata Tjuta National Park. Finish your sightseeing early on the 26th (Thu) so you can travel to Alice Springs. Eschew the tourist crowds and head to Walking tours and Alice Springs Telegraph Station Historical Reserve. Step out of the city life by going to Alice Springs Desert Park and Alice Springs Reptile Centre. Spend the 29th (Sun) exploring nature at Owen Springs Reserve. Spend the 30th (Mon) exploring nature at Finke Gorge National Park. 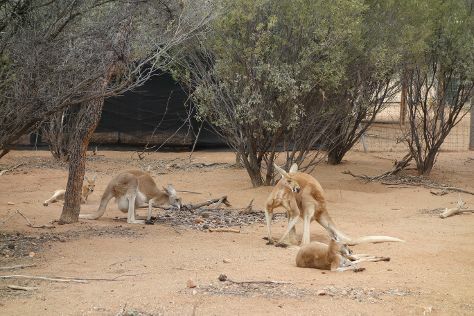 There's still lots to do: get outside with Alice Springs Aquatic and Leisure Centre and look for all kinds of wild species at The Emily and Jessie Gaps Nature Park. To see reviews, ratings, more things to do, and tourist information, you can read our Alice Springs vacation planner. Traveling by combination of flight and taxi from Uluru-Kata Tjuta National Park to Alice Springs takes 2 hours. Alternatively, you can drive. In September, plan for daily highs up to 32°C, and evening lows to 11°C. Wrap up your sightseeing on the 30th (Mon) early enough to travel to Adelaide. Satisfy your inner culture vulture at Adelaide Oval and Vine Art Studio, Gallery & Therapeutic Massage. Deepen your sense of the past at sights like Martindale Hall Heritage Museum and Old Gum Tree Reserve. 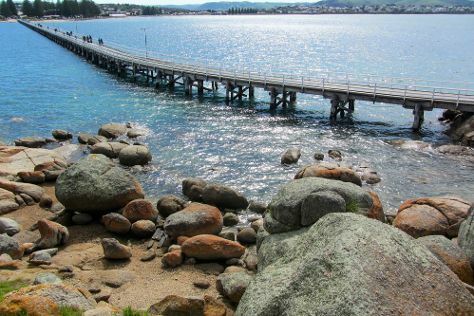 Change things up with these side-trips from Adelaide: Clare (Crabtree Watervale Wines & Riesling Trail), Victor Harbor (Granite Island & Old Port Victor Historic Walk) and Sevenhill (St Aloysius Church & Jeanneret Wines). There's still lots to do: look for all kinds of wild species at Cleland Wildlife Park, browse the eclectic array of goods at Adelaide Central Market, admire nature's wide array of creatures at Adelaide Zoo, and get engrossed in the history at South Australian Museum. For other places to visit, ratings, photos, and other tourist information, use the Adelaide tour itinerary builder website . Traveling by flight from Alice Springs to Adelaide takes 4.5 hours. Alternatively, you can drive; or take a bus. While traveling from Alice Springs, expect a bit cooler days and about the same nights in Adelaide, ranging from highs of 21°C to lows of 11°C. Finish up your sightseeing early on the 5th (Sat) so you can go by car to Port Campbell. Port Campbell is a coastal town in Victoria, Australia. You'll discover tucked-away gems like Twelve Apostles and Griffiths Island. Take a break from the city and head to Port Campbell National Park and The Razorback. Venture out of the city with trips to Warrnambool (Logan's Beach & Thunder point Coastal Reserve). 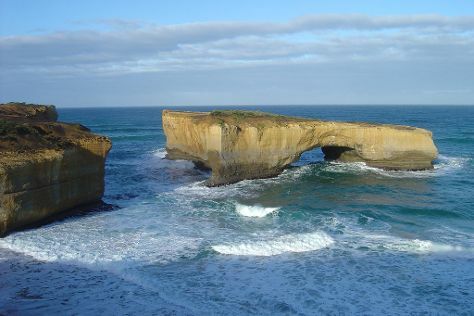 It doesn't end there: take in the dramatic natural features at London Bridge. To see maps, traveler tips, and more tourist information, read our Port Campbell online trip maker . Traveling by car from Adelaide to Port Campbell takes 8 hours. Alternatively, you can do a combination of flight and bus; or take a bus. Finish up your sightseeing early on the 8th (Tue) so you can go by car to Torquay. Eschew the tourist crowds and head to Mait's Rest and Great Ocean Walk. Do some cultural sightseeing at Split Point Lighthouse and St Mary of the Angels. 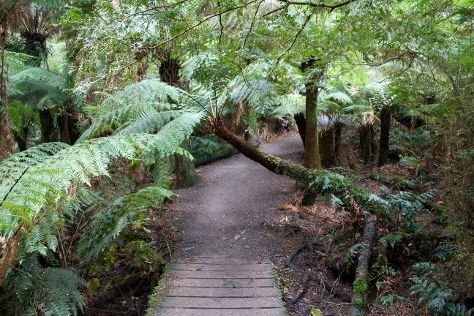 You'll find plenty of places to visit near Torquay: Eastern Beach Reserve (in Geelong) and Erskine Falls (in Lorne). There's more to do: kick back and relax at Bells Beach and look for all kinds of wild species at Coogoorah Park Nature Reserve. To see more things to do, photos, maps, and more tourist information, read our Torquay visit planning tool . Traveling by car from Port Campbell to Torquay takes 2.5 hours. Alternatively, you can take a bus. October in Torquay sees daily highs of 24°C and lows of 8°C at night. Wrap up your sightseeing on the 11th (Fri) to allow time to drive to Melbourne. Your cultural itinerary includes sights like Melbourne Museum and Parliament House of Victoria. Get outdoors at St. Kilda Beach and Balloon Rides. Change things up with these side-trips from Melbourne: Daylesford (Spas & Wellness & Lake Daylesford). Dedicate the 13th (Sun) to wine at some of the top wineries in the area. And it doesn't end there: contemplate the long history of Old Melbourne Gaol, take in panoramic vistas at Eureka Skydeck 88, admire the natural beauty at Royal Botanic Gardens, and meet the residents at Melbourne Zoo. To see other places to visit, reviews, photos, and tourist information, refer to the Melbourne holiday planning app . Getting from Torquay to Melbourne by car takes about 1.5 hours. Other options: take a train; or take a bus. October in Melbourne sees daily highs of 24°C and lows of 9°C at night. Wrap up your sightseeing on the 16th (Wed) to allow time to travel to Sydney. Your cultural itinerary includes sights like The Rocks and Norman Lindsay Gallery & Museum. You'll get in some beach time at Bondi Beach and Clovelly. 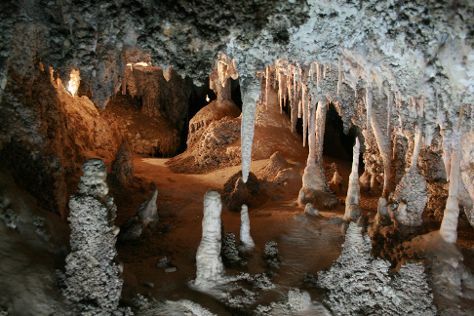 Explore Sydney's surroundings by going to Wentworth Falls (in Katoomba), Nan Tien Temple (in Wollongong) and Jenolan Caves (in Jenolan Caves). There's lots more to do: trek along Bondi to Coogee Beach Coastal Walk, admire the masterpieces at Australian Centre for Photography, explore the striking landscape at Kiama Blowhole, and kick back and relax at Coogee Beach. For ratings, traveler tips, maps, and other tourist information, go to the Sydney trip itinerary maker site . Fly from Melbourne to Sydney in 3.5 hours. Alternatively, you can do a combination of shuttle and flight; or drive. Plan for a bit warmer temperatures traveling from Melbourne in October, with highs in Sydney at 28°C and lows at 17°C. Cap off your sightseeing on the 21st (Mon) early enough to travel to Gold Coast. Visiting Burleigh Heads Beach and Broken Head Beach will get you outdoors. Relax by the water at Coolangatta Beach and Tallow Beach. 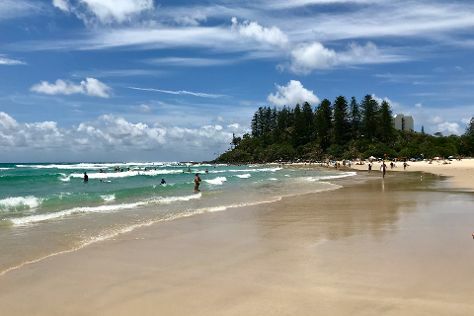 Explore the numerous day-trip ideas around Gold Coast: Byron Bay (Thomgallery, Wategos Beach, & more) and Lighthouse Beach (in Ballina). And it doesn't end there: admire nature's wide array of creatures at Currumbin Wildlife Sanctuary, kick back and relax at Kirra Beach, identify plant and animal life at Burleigh Head National Park, and enjoy breathtaking views from SkyPoint Climb. To find traveler tips, maps, reviews, and more tourist information, use the Gold Coast itinerary planner. Fly from Sydney to Gold Coast in 3.5 hours. Alternatively, you can do a combination of flight and train; or drive. October in Gold Coast sees daily highs of 29°C and lows of 18°C at night. Wrap up your sightseeing on the 26th (Sat) to allow time to drive to Brisbane. We've included these beaches for you: Mooloolaba Beach and Maroochydore Beach. Your cultural itinerary includes sights like GOMA and Caloundra Lighthouses. Explore the numerous day-trip ideas around Brisbane: Kings Beach (in Caloundra), Kondalilla National Park (in Montville) and Main Range National Park (in Goomburra). There's more to do: admire the natural beauty at Roma Street Parkland and kick back and relax at Moffat Beach. Find out how to plan Brisbane trip without stress by asking Inspirock to help create an itinerary. Traveling by car from Gold Coast to Brisbane takes an hour. Alternatively, you can take a bus; or take a train. Expect a daytime high around 29°C in October, and nighttime lows around 19°C. 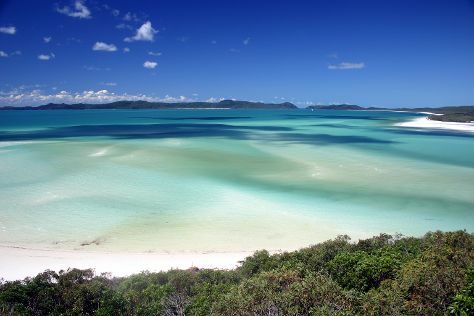 Finish your sightseeing early on the 31st (Thu) so you can travel to Whitsunday Island. On the 1st (Fri), explore the activities along Hill Inlet and then enjoy the sand and surf at Whitehaven Beach. For reviews, photos, more things to do, and tourist information, use the Whitsunday Island online trip planner . Fly from Brisbane to Whitsunday Island in 3.5 hours. Alternatively, you can do a combination of flight and bus; or take a train. When traveling from Brisbane in October, plan for a bit warmer days and about the same nights in Whitsunday Island: temperatures range from 34°C by day to 19°C at night. Wrap up your sightseeing on the 1st (Fri) to allow time to ride a ferry to Airlie Beach. Get a sense of the local culture at Above & Below Photography and Art Whitsunday Gallery & Shop. You'll discover tucked-away gems like Airlie Beach Lagoon and Kayaking & Canoeing. Change things up with these side-trips from Airlie Beach: Bowen (Horseshoe Bay, Grays Bay, & more). Spend the 3rd (Sun) among aquatic life with a scuba or snorkeling tour. And it doesn't end there: explore the activities along Heart Reef, kick back and relax at Whitehaven Beach, stroll through Boathaven Beach, and choose your vessel at Boab Boat Hire Airlie Beach. To see ratings, where to stay, traveler tips, and more tourist information, go to the Airlie Beach trip planning tool . Ride a ferry from Whitsunday Island to Airlie Beach in 1.5 hours. Plan for somewhat warmer nights when traveling from Whitsunday Island in November since evenings lows in Airlie Beach dip to 27°C. Wrap up your sightseeing on the 6th (Wed) to allow time to ride a ferry to Hamilton Island. Start off your visit on the 7th (Thu): go for a stroll along the water at Hamilton Island Marina, then enjoy the sand and surf at Catseye Beach, and then get outside with Jetryder. Get ready for a full day of sightseeing on the 8th (Fri): tee off at Hamilton Island Golf Club, then explore the galleries of Hamilton Island Art Gallery, and then don't miss a visit to Passage Peak. For ratings, reviews, more things to do, and tourist information, you can read our Hamilton Island road trip planning tool . Traveling by ferry from Airlie Beach to Hamilton Island takes an hour. In November, plan for daily highs up to 33°C, and evening lows to 26°C. Finish up your sightseeing early on the 8th (Fri) so you can travel to Port Douglas. You'll get in some beach time at Palm Cove Beach and Four Mile Beach. Discover out-of-the-way places like Agincourt Reef and Mossman Gorge. Spend the 9th (Sat) among aquatic life with a scuba or snorkeling tour. There's still lots to do: meet the residents at Wildlife Habitat Port Douglas, get great views at Flagstaff Hill Lookout, look for gifts at With Sugar, and learn about winemaking at Shannonvale Tropical Fruit Winery. For reviews, where to stay, other places to visit, and more tourist information, you can read our Port Douglas tour planning app . You can do a combination of flight and shuttle from Hamilton Island to Port Douglas in 3.5 hours. Alternatively, you can do a combination of ferry and bus; or do a combination of ferry, bus, and train. In November, plan for daily highs up to 36°C, and evening lows to 26°C. Wrap up your sightseeing on the 13th (Wed) early enough to drive to Cairns. Take a break from the city and head to Scuba & Snorkeling and Balloon Rides. You'll explore the less-touristy side of things at Nature & Wildlife Tours and Helicopter Tours. And it doesn't end there: admire the natural beauty at Botanical Gardens, appreciate the history behind Cairns Cenotaph, enjoy the sand and surf at Yorkeys Knob Beach, and choose your vessel at Shaolin Junk Cruises. To see more things to do, where to stay, and tourist information, read our Cairns online trip builder . You can drive from Port Douglas to Cairns in 1.5 hours. Alternatively, you can take a bus; or take a shuttle. November in Cairns sees daily highs of 36°C and lows of 26°C at night. Wrap up your sightseeing by early afternoon on the 19th (Tue) to allow time for travel back home.